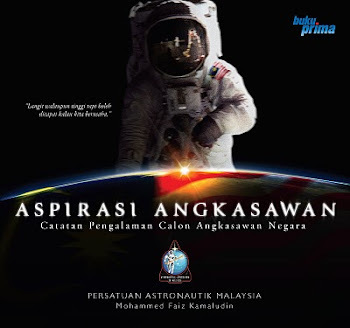 Catch Prabaharan Nadarajan in Penang this Wednesday, 13th April 2011 at Dewan Dome Komtar for "Sambutan Malam Astronomi Pulau Pinang 2011". He will deliver a talk at 2:30pm on behalf of the association about the Angkasawan selection process. Hope to see you all there!! !